Chandigarh: Haryana government has decided to grant uniform allowance of Rs 900 to Multipurpose Health Workers (MPHW), Male, thus bringing them at par with Multipurpose Health Workers (MPHW). Besides, the government has also decided to increase the Fixed Travelling Allowance (FTA) of Multipurpose Health Workers and Multipurpose Health Supervisors (MPHS) from Rs 600 to Rs 1,000. 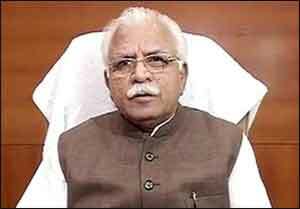 Stating this here today, a Finance Department spokesman said that Chief Minister Manohar Lal Khattar has approved a proposal in this regard. He said that MPHW, Female are already getting uniform allowance of Rs 900 including Rs 150 as boarding and diet allowance. Now, it has been decided to grant uniform allowance to MPHW, Male, also at par with their female counterparts. The decision would put an additional burden of Rs 3.38 crore annually on the state exchequer. There are 2,544 MPHW (M) and 2,654 MPHW (F) in the state.